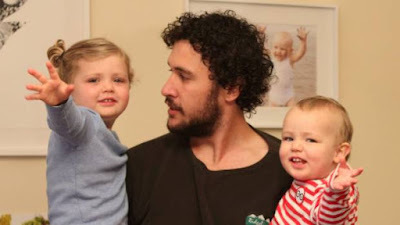 Jason Watson (the dad in this picture link) has done a series of these funny videos on How to DAD. This one is “How to Take Kids to a Restaurant.” I wish I had these clips when I was a parent of young ones, not because they are helpful, but because they are hilariously true. It is often a relief to see someone else struggle with the same issues. In a funny way – this guy gets it. It is a challenge to teach good public behavior to our children, but a challenge worth aiming for. When we teach good manners we encourage our children to be conscientious. In order to be conscientious children must think about the feelings of others (other people want to eat their meal without hearing me shout), remember commonly accepted rules of behavior (people take turns), and keep their bodies under control (walking feet and quiet inside voices). These skills match up with abstract thinking, working memory, and regulation which are all essential skills for learning, playing, and getting along with others. Conscientious children do better in school in almost every category. Good public manners are not about squelching your child’s exuberant spirit. They are about developing a brain capable of using those natural talents successfully. Mean what you say: Don’t make unreasonable threats. Just set expectations and follow through when necessary. Be as consistent as you want your children to be. Take them out: It is embarrassing to walk through a group of people with a screaming child, but you will likely not have to repeat it too many times. You should know that most of the people you pass on the way out admire you. The only parents to blame for their child's lousy behavior are the ones who do nothing. Practice at home: In school your children practice fire drills every month. It is not done because the school is likely to have a fire. This practice is so that if a fire happens a safe exit will be almost second nature to a worried group of children. Practicing good manners at home will also help conscientiousness to be second nature. The more practice you have at home, the happier your family will be as good manners promotes empathy and caring. When you see a restaurant with a polite note about expectations for child behavior, do not assume your children are not welcome. Instead, see this as an opportunity to help your child learn. It is reasonable to expect reasonable behavior from children in a public setting. Not only that, good manners translate into good friends and good learning.